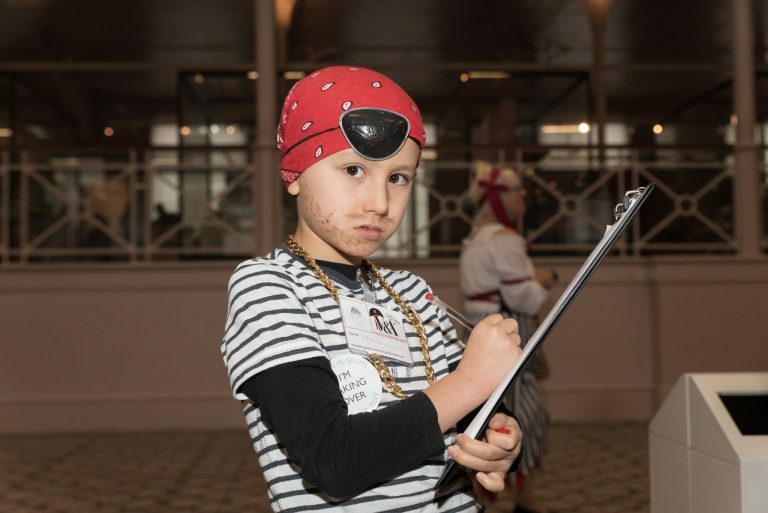 We heard them before we could see them … 60 miniature pirates brandishing a variety of homemade cutlasses, hats and eye patches and making an almighty racket. This raggle-taggle band of 8 and 9-year-old buccaneers from Globe Primary School were coming to the MoC; they wanted our jobs, they were coming to take over! We were actually a little afraid. 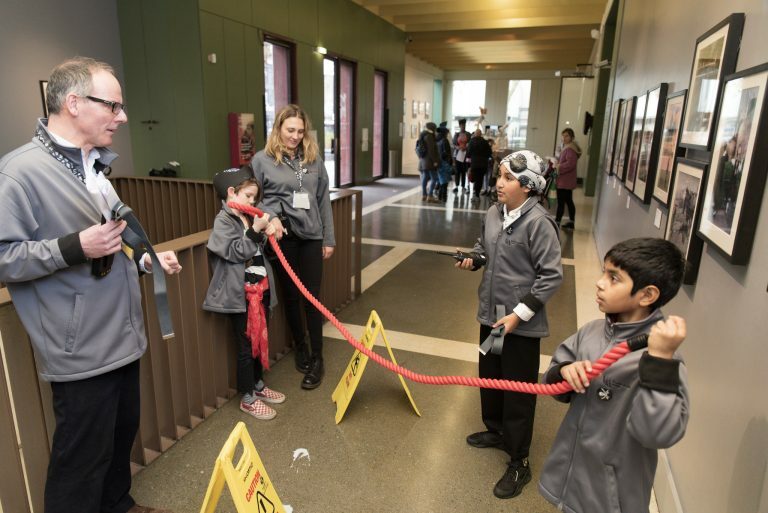 One of the most joyous dates in the V&A Museum of Childhood calendar – Children’s Takeover Day, a national campaign pioneered by Kids in Museum – sees us hand over the wheel to children in almost every role at the museum. 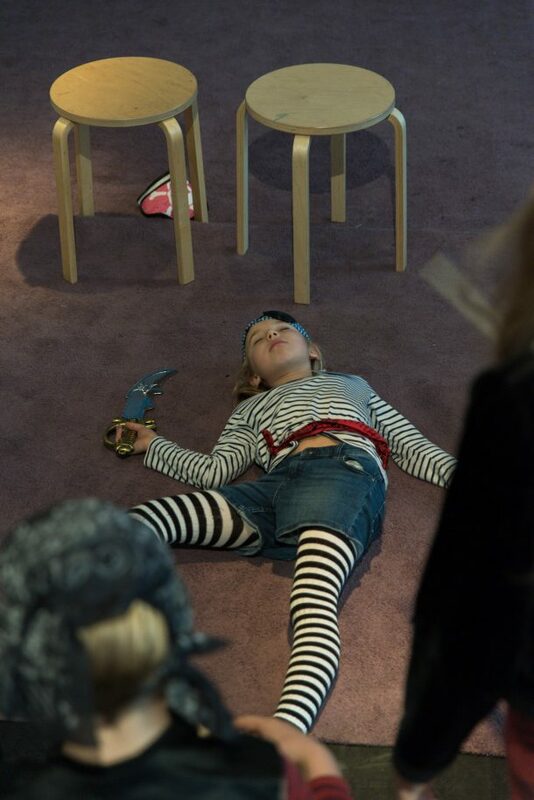 This year had an extra special feel as it was pirate themed, to tie in with our fabulous A Pirate’s Life for Me exhibition. At the Museum of Childhood, we constantly question ourselves on how we can understand the world of children better? How can we see the world through their eyes? How can we understand the perspective of children today? 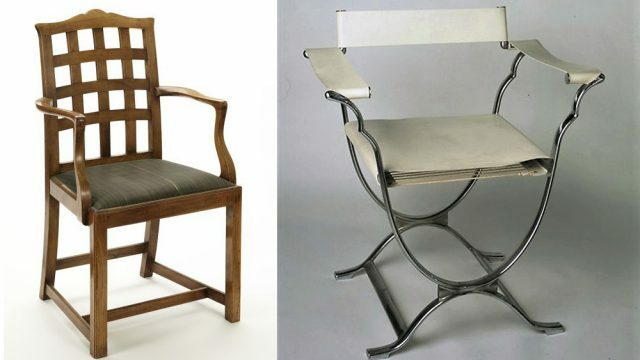 How can we give them agency in a museum that should be both about and for them? What can we learn from children’s creativity and playfulness, and how can we steal all their good jokes!? Despite our collections, few of our team (outside of our wonderful Front of House staff) spend much time with children. Takeover Day is the perfect way to involve the whole museum in our work with children, and to give them insights that they can bring to their work. Each year the process begins early in the summer, when the job descriptions and application forms are dispatched to the school. Gill Ruskin, our amazing liaison person at Globe Primary School, spends lots of time working with the children on what job they would like to apply for, and how to complete the application form. They applied to be Archive Assistants, Exhibitions Assistants, Shop Assistants, Directors, Artists, Teachers, Meet & Greeters, Operations Assistants, Press & Marketing Assistants, Curatorial Assistants and Storytellers. 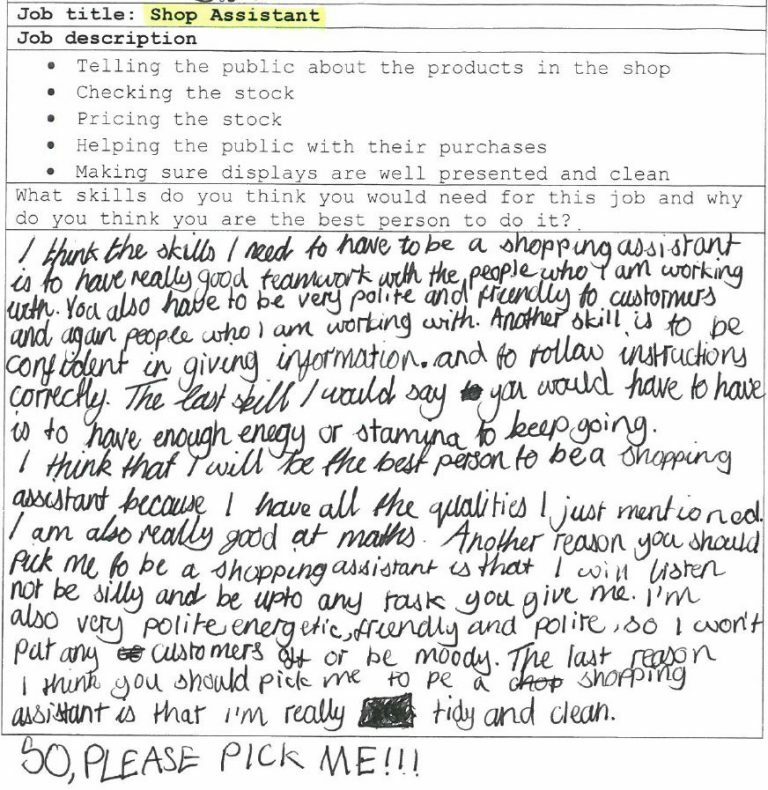 Every year the most popular job is Shop Assistant, and we always try to work out why. Perhaps it’s because of the tills, perhaps it’s because many children understand shops and shopping or their parents work in or run shops. The children then come in for interviews which is always absolute comedy gold. We ask them simple questions about the job; we dig for their skills and interests. They tell us a joke and we do everything we can not to laugh (it really is the way they tell them). They are always funny, witty, quirky, creative, bonkers and, above all, confident. We give the impression of a real recruitment process, but everyone gets a job even if it’s not the one they apply for (don’t tell anyone!). Early in the autumn term the training begins. Over a number of weeks groups of trainees come in to meet their grown-up mentors and learn about their jobs. They check the boilers, learn how to handle archives, they meet the public, answer the phones and prepare for the big day. As much as possible we build in the essence of the role: what the most important thing about it is. It’s quite hard to communicate this to a child sometimes, but they learn best through doing. The Operations Assistant role, for example, got no interest last year but this year we were totally oversubscribed. Once word got out that there was a laser pointer, walkie-talkie and a visit to the boiler house involved, everyone wanted a piece of the action. 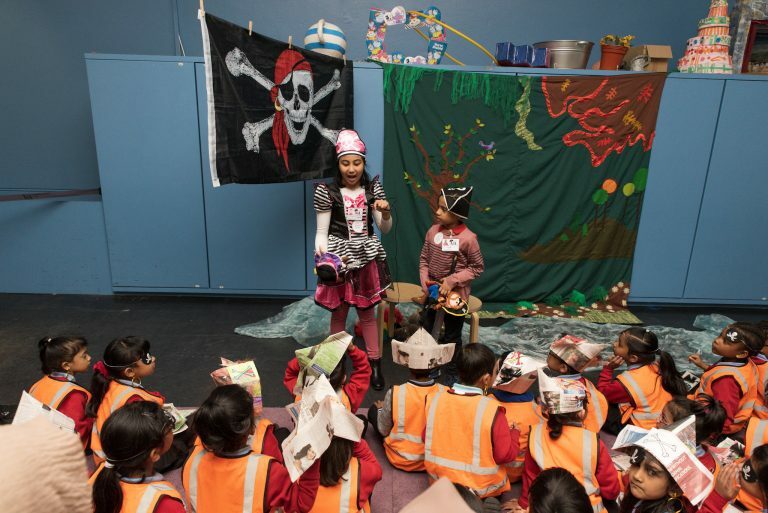 This year pirate takeover began with rousing speeches form our mini-pirate-Directors who sent us on our way. Our Learning Centre Assistants greeted school groups and took them to the lunch room. The Spotlight Talk team performed a wonderful pirate ‘show & tell’ for school groups using objects from the collection in the galleries. Teaching Assistants supported staff in the learning centre to deliver the sessions for visiting school groups. They dealt with crises, like unexpected groups arriving, with the skill and diplomacy of any adult. The Front of House team were hard at work welcoming people with puppets and staffing the Information Desk. 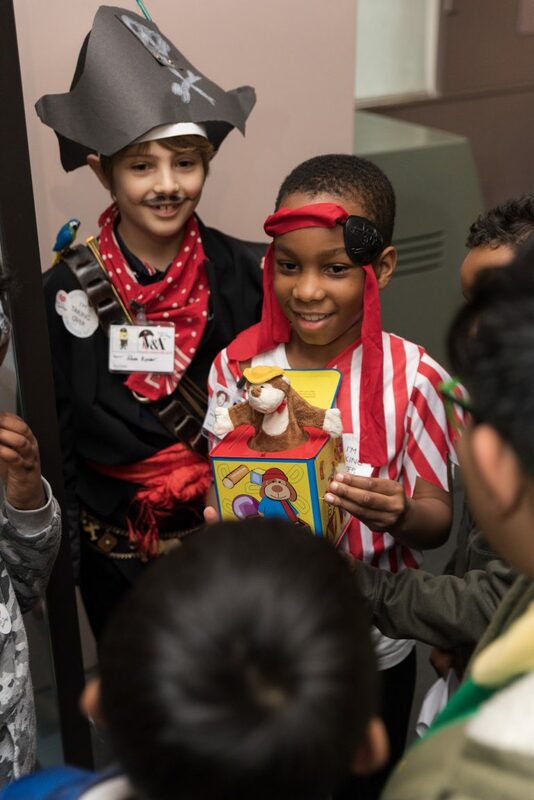 A crew of pirate Tour Guides took parents and visitors on tours of their favourite objects including a jack in the box and a space rocket – they were so popular they had to offer extra tours. Behind the scenes, there were Curators taking toy frogs out of the deep freeze and Archivists preparing photographs of adventure playgrounds for public display. The Marketing and Press team fielded calls from the press while drafting press releases and managing photographers. Their demands for improvements included more slime in the shop, fake tattoos, a swimming pool, a golden toilet and free ice-cream. Why didn’t we think of that?! The Exhibitions Team created their own beautifully illustrated pirate map to evaluate the exhibition. They invited members of the public to place their votes on the map from Paradise Island, via the Sea of Indifference to Boring Buccaneerland. They even had to do some remedial repairs with a hand drill. Meanwhile, the Art Facilitators were creating striking drawings of sea creatures including terrifying sharks for people to embellish and turn into props for the grand finale story-telling. The piratical day was brought to a roaring crescendo by a fabulous performance of ‘Pirates Love Underpants’ from the Story-Tellers, complete with their own customised underpants and rousing sea shanty (as well as a quick burst of ‘Baby Shark’). Their appreciative audience joined in with the singing and waved their sea creature props. The mini-Directors closed the day with lovely farewell speeches thanking the various teams for their day’s labour. The exhausted adults, completely spent after their day of instruction from swashbuckling children, retreated to a local tavern for some celebratory grog and reflection. It’s fun, it’s humorous and it’s joyous … but this is serious play. The children teach us to be more playful, not to take ourselves too seriously and to be more accessible in the way we communicate. They test our assumptions about what they are capable of. Their creativity is boundless and their imaginations are unfettered, and they show us how to rediscover this in ourselves. In return, they are learning about the world of work, about the potential of a museum as a store house of creative ideas, and about all the skills and careers that can be found there. And maybe, just maybe, one day one of these mutinous little pirates will return to these shores as a fully-grown museum Pirate Captain and will get busy installing slime machines, gold toilets and dispensing free ice-cream for all. 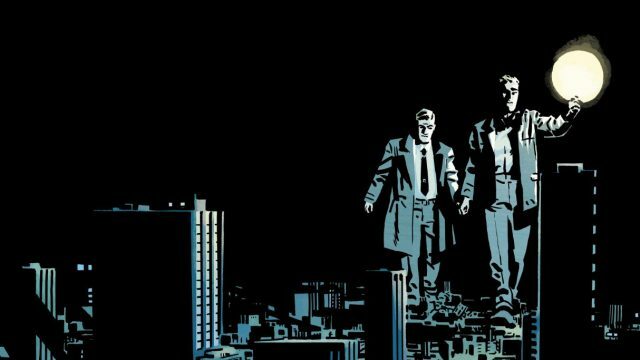 I much enjoyed reading this blog. There is room for much improvement in the physical presentation at the MoC, but programmes like this are excellent to counter the effects of this due to the skills and ingenuity of the brilliant staff. I was pleased to learn that the children were able to use the archive, including some of my Adventure Playground photos. It will be good to read accounts of further work like this, perhaps some of it in the outside area. I am really pleased that you enjoyed reading the blog post about Take Over Day. Our mini archivists were fantastic, and really enjoyed researching your archive and sharing their ideas with the public – not to mention being trusted to handle and appreciate the original photographs. It is so important to work with children directly in this we way and we are doing just that in relation to our Futureplan re-development project. The children have been working directly with designers and architects to ensure that the new museum has their needs and indeed their creative ideas at the heart. Look out for future posts on this. We look forward to carrying on the conversation with you.